I use Nature's Sunshine Tea Tree Oil. I mix one-half bottle of Tea Tree Oil with 32 ounces of water to use as a laundry additive. The mixture removes mold left behind by regular laundry detergents. I add one ounce of the mixture in my bleach dispenser for colors or add it directly behind my bleach in the dispenser for whites. I started using a similar laundry additive when I learned my husband has a mold allergy. Common laundry detergents do not kill or clean mold spores on fabric. Mold is everywhere and can't be avoided! Tea Tree Oil has many healing and antiseptic benefits. Bodyecology.com reports "Tea tree has so many anti-viral and anti-fungal benefits that the Australian army puts it in soldiers' first aid kits." I make my own additive to save money. The additive I bought cost $19.99 per 32 ounce bottle. I make 32 ounces for around $6, a whooping 70% savings! Easy, convenient and all natural. I recommend this home mixture to experience extra clean and extra fragrant clothes. 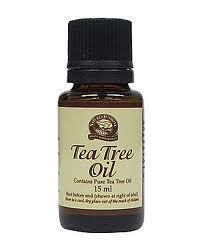 Please note that the Tea Tree Oil itself has a very powerful fragrance. Your clothes will not retain the smell of the Tea Tree Oil even if you don't use fabric softener. Wash a regular load of laundry using your regular detergent, bleach and softener adding the Tea Tree Oil mixture as an additional cleansing step. The result is addicting! I never wash clothes without it!